Ht: 6’3” Wt: 190 lbs. 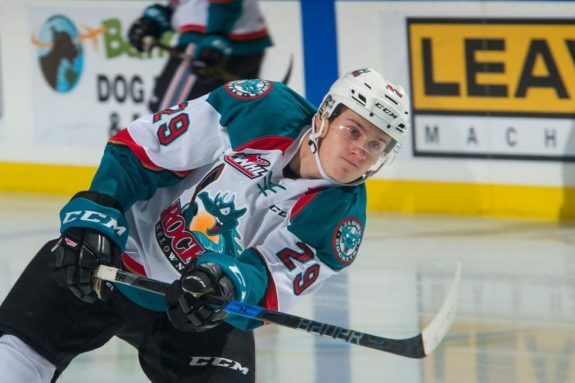 Nolan Foote, son of former NHLer Adam Foote and the younger brother of Tampa Bay Lightning first-round pick Callen Foote, has seen his stock fall after scoring 19 goals as a 16-year-old for the Kelowna Rockets in the 2016-17 season. In the summer of 2017, most pegged him as a top-10 pick for this draft, but he only managed 13 goals and 40 points in 50 games in 2017-18 and finished this season with 63 points in 66 games, despite being older than most prospects because of his late 2000 birthday. Foote recorded zero points and was a minus-three in the Rockets’ bid to qualify for the post-season this week, a 5-1 loss to the Kamloops Blazers in a one-game tie-breaker, which didn’t help his stock either. His 63 points rank 14th in the WHL amongst U-19 players, so there’s a chance he won’t be selected in the first round this June. Being under a point-per-game is underwhelming, but his 36 goals this season are nothing to sneeze at. Foote already has an NHL-ready shot, he reads plays well on both sides of the puck and he has strong leadership qualities. At 6-foot-3 and nearly 200 lbs., the term ‘power forward’ immediately comes to mind. However, he’s not as physical as he could be. He’s certainly not afraid to battle in high traffic areas but given his size, he could be more dominant physically. With Foote — and most power forwards — there are two questions: how much of a liability is his skating and how much scoring can he provide at the NHL level? Foote’s skating has improved this season, but it’s still a big question mark, and the main reason some pundits have him outside the top-50. Consistency has been another issue with Foote. In 66 games this season, he was held off the scoresheet 24 times. 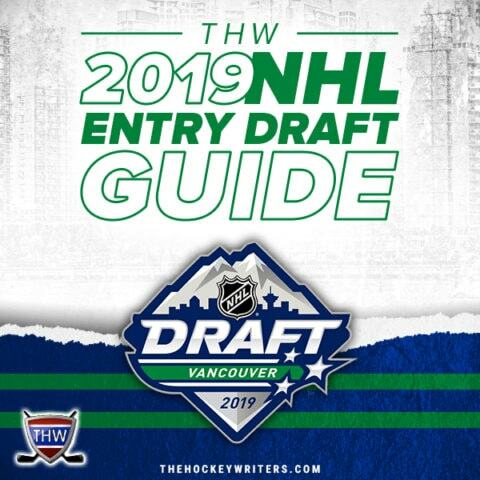 Foote could be taken late in the first round of the draft, but the beginning or middle of the second is a more likely scenario at this point. Foote projects as a top-nine winger at the NHL level. Foote won a gold medal at the Hlinka Gretzky Cup in the summer of 2017, playing mostly with 2018 draft-eligible players. He registered one goal and one assist in five games. He also won a silver medal at the U-17 World Hockey Challenge with Team Canada Black in 2016, a tournament where Canada sends three teams. Foote had two assists in six games.